That is NOT the actual screenshot of the tool. 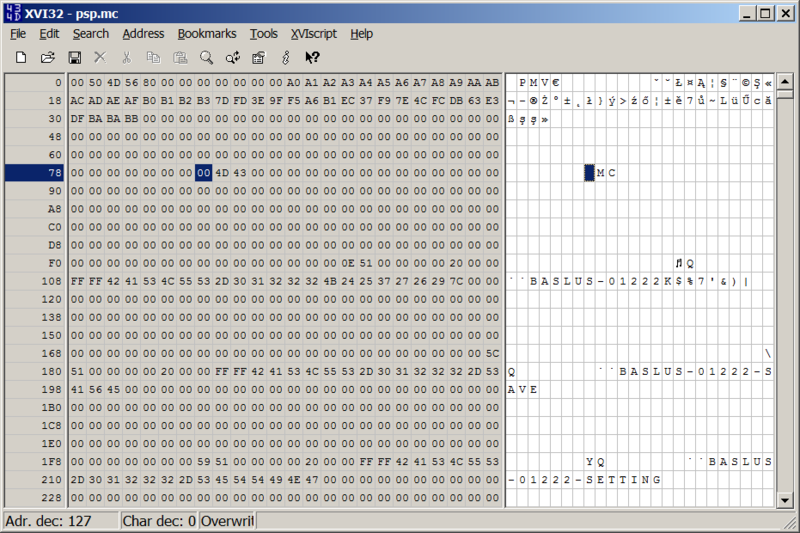 It's the hex editor showing the PSP save file. It's very simple really. Just drag and drop your PSP save file over the psp2xperia.bat and you'll get the Xperia Play save. Copy it to your phone and try running the game. In the package you'll also find the batch file for adding the header back, so you can in theory make the PSP save from the Xperia Play one, but I'm not sure if the header is supposed to be always the same, and haven't really tested it. Let me know if it works. And yes, I will be releasing the Joypad Mod for Minecraft 1.5.x, somewhere in the future ;). Thanks for the support! Very Nice... i got that easily..